For a nice listen as you check out this Swedish car from 1998, check out the excellent song When released by Swedish band Opeth in 1998! Honestly, this is not a great model. It’s thin on the details, there are some misaligned decals, cost cut corners, opening doors that don’t line up right when closed, and those mirrors are horrifying. But it’s not completely terrible, either. Parts of it look fine and it’s not horribly misshapen. At the end of the day, I like Saabs, and they are not the easiest cars to find models of. 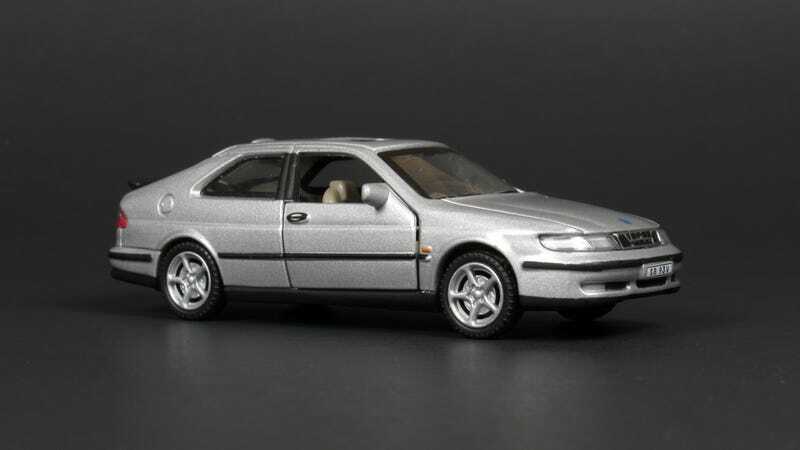 In particular, I almost ended up with a Viggen variant of this 9-3 for a college car and have always wondered what it would have been like...alas, it sold out from under my dad and I. I ended up with an EP3 Civic Si instead, which was a decent car.